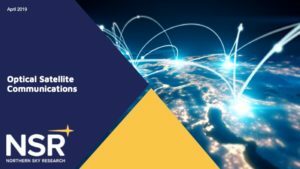 NSR’s Optical Satellite Communications (OSC) report is an industry first report that analyses the dynamics of the evolving space-based laser communication ecosystem. 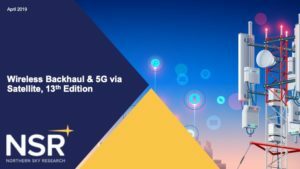 NSR’s Wireless Backhaul & 5G via Satellite, 13th Edition is the longest-standing industry analysis and forecast of the Satellite Backhaul and Trunking backbone sector. 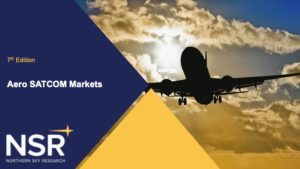 With 13+ years of experience actively tracking and forecasting this market, NSR’s Aeronautical Satcom Markets, 7th Edition offers a unique analysis with the most thorough and in-depth assessment for all types of in-flight connectivity. 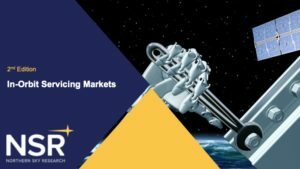 NSR’s In-Orbit Servicing Markets, 2nd Edition report is the leading resource for assessment of this nascent but fast-growing market. 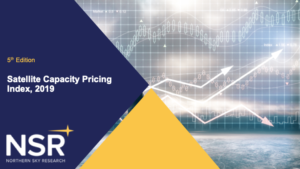 Built on 15+ years of pricing research, NSR’s Satellite Capacity Pricing Index, 5th Edition (SCPI5) continues as the leading industry resource for satellite capacity pricing worldwide.